We are very happy to announce that JASSC has been awarded the Tomodachi Grant! 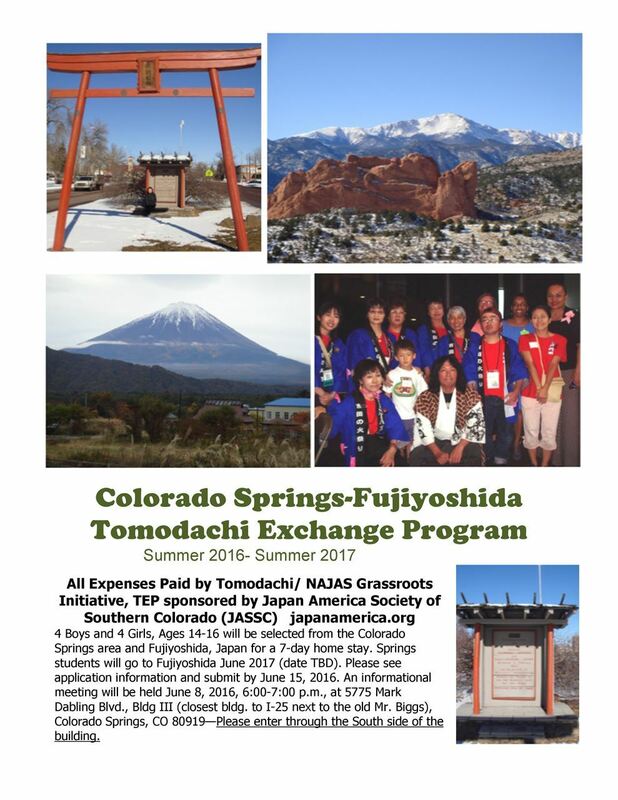 The two-year grant provides the JASSC an opportunity to create a high school student exchange between Colorado Springs and Fujiyoshida. It is a reciprocal exchange that will allow us to host a group of students on August 18-24, 2017 and next June (exact dates are yet to be determined). Each city’s delegation will consist of eight students (four males/four females) and two chaperones. Please use this page to download the necessary documents and instructions for application. Application Form in either Word or PDF format.